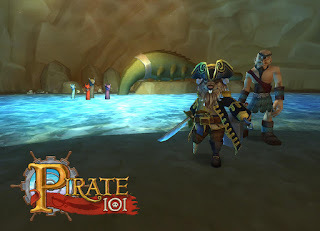 This post is to further explain the third challenge in my "10 Ways to Make Pirate101 More Challenging" series. Just how important are companions to your questing? VERY! And everyone seems to have their favorite companions that they seem to use for most battle. Seriously, does anyone NOT use Bonnie Anne in their top 5? This challenge will force you to mix up your crew and take advantage of other companions you may not think of using that often (or ever). 1. One you receive a companion, you may not use any training tomes (either purchased, found, earned from quests, etc.) to level that companion up at all. 2. You may not set any companions to the "Brawling" task to earn companion experience. 3. You may recruit any side quest companions at any point during the game. 4. You may change your first mate and companion order at any point during the game. You also may set companions to any of the other tasks, other than Brawling. 1. Do as many side quests as you can before you recruit a new companion so that companion will be a higher level. 2. Don't recruit side quest companions right away. Wait until you absolutely need a new, higher level companion. 3. Companions from packs, bundles, Crowns Shop, etc. ; I have made no rules about using them. 4. Save the gold you would have used on training tomes to buy better gear and weapons. 1. Train your companions a little, but only until they need their next epic or talent. After that, leave them at that level the rest of the game. 2. Train up your companions with only the tomes you earn from leveling and questing. Don't spend any gold on tomes. 3. Level your companions normally, but don't do any of their promotions.